Together with our VSPCA team, Animals' Angels is in Vermalapulli. Buffalo and cattle are offered for sale here every week. 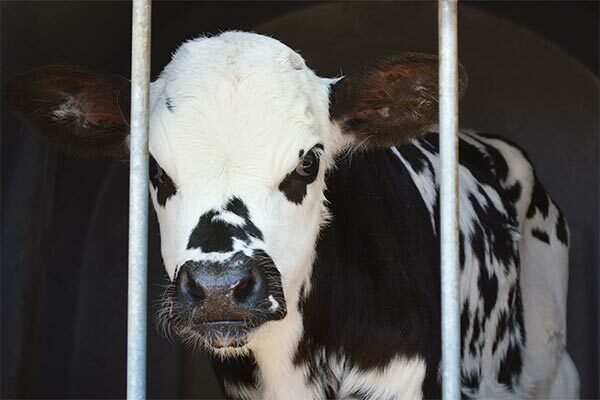 Today, there are about 150 animals at the market, from young calves to weak 'working' animals and 'milk' cows. The infrastructure is simple: mounds of earth that are used as ramps, bicycle tires that serve as tethers and the shade for the animals comes from the trees on the market grounds. In a small bucket there is water to supply some of the animals. Even a veterinarian is present. But unfortunately, he does not take any action in case of infringements. The handling of the animals is rough and sometimes brutal. The transports are systematically overloaded. 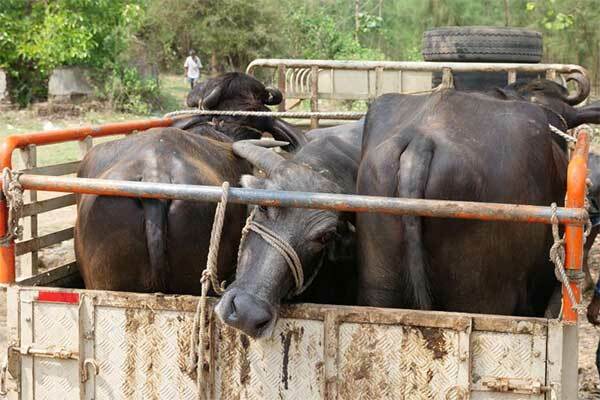 We also observe how the animals are fixed to the ground lying on a truck – a particularly perfidious transport practice that we know only from India. We intervene, and the animals are then loaded standing, and with bedding. 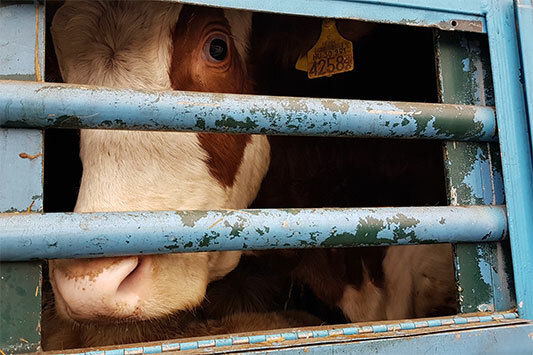 The market veterinarian, the called in transport inspectors, and the local police assure us that they are willing to do more for animal protection at the market, but in reality, these promises have unfortunately not (yet?) been followed by any action. 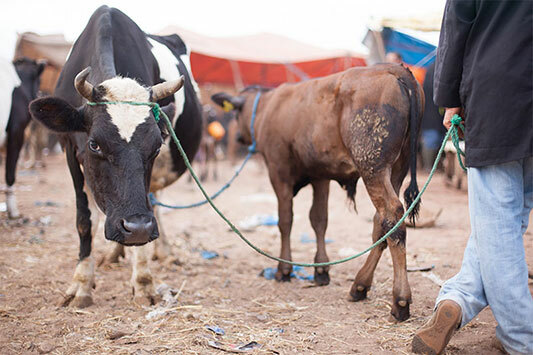 With our support, the VSPCA will continue to control the market in the future and will work towards more engagement on the part of the authorities.